Paris (France), Taipei (Taiwan), Boston (USA) – November 26 2018 – WeHealth by Servier, Servier Group’s e-health Business unit, and MobioSense, a leading semiconductor biosensor platform developer based in Taiwan and Boston, announced today the closing of a partnership agreement to develop and commercialize a digital portable, High Sensitivity Troponin I Test (hs-cTnI) in order to accelerate and improve the diagnostic for potential heart attack patients. Mobiosense’s Solution is the first portable heart attack detection device. The solution under development is a point-of-care hs-cTnI device enabling bedside testing in ambulance, urgent care and hospital emergency room, efficiently reducing current 6-12 hours conventional Troponin protocol to just 1 hour with the new portable hs-cTnI. The MobioSense’s Solution is helping patients and healthcare providers by increasing the quality of patient care and reducing hospital stay. As part of this partnership devoted to the co-developing and commercializing of the first solution, Mobiosense will receive financial milestones and resources support. “We are pleased to work with MobioSense and with the Masschallenge Healthtech in Boston, where the startup was accelerated to co-develop the business model and the product. This solution is really focused on reducing the pain point of the patient journey and will fit very well with our digital portfolio”, says Dr David Guez, Director of WeHealth by Servier. 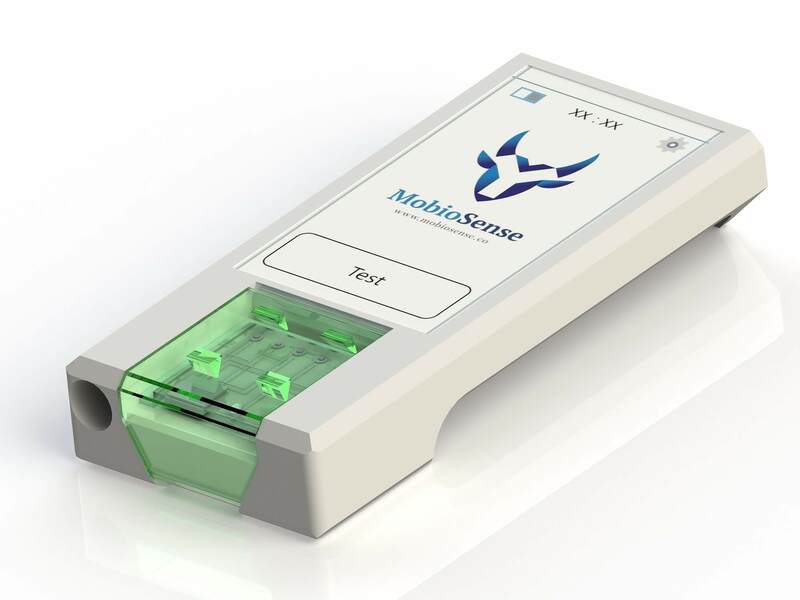 The Mobiosense’s Solution has gained significant traction thanks to MassChallenge, Philips HealthWorks accelerators and Massachusetts General Hospital (MGH) Co. Create program. In addition to the development and distribution partnership with WeHealth by Servier, MobioSense seeks to provide a convenient and decentralized biomarker testing platform to revolutionize the point of care testing market. “Mobiosense is very excited by the opportunity to work with a highly motivated team. Servier’s insight into the cardiovascular market provides ample opportunity for MobioSense’s technology to advance current point-of-care technology and ultimately advance the future of decentralized healthcare”, says Wendell Su, CEO of Mobiosense. Complaint of chest pain is one of the leading causes of visits to the emergency room worldwide. Only 10% of them are true heart attack patients, but 60% of them end up staying in hospital for more than 12 hours. When patients experience chest pain, physicians must take a chain of medical decision to diagnose several forms of AMI and instable angina, based on ECG, clinical symptoms, and troponin tests. Cardiac troponin I is a gold standard biomarker of heart attack. High sensitivity detection of troponin allows an earlier detection and lead physicians to take better actions right away for the patient. Current protocols to rule out heart attacks can take up to 12 hours to complete due to the lower sensitivity of conventional troponin tests, a gold standard tests for identifying heart attacks, and also due to lack of portability requiring tests to be done at a hospital with central lab, mandating overnight stays at the emergency room for almost all chest pain patients regardless of final diagnosis, and leading to overcrowding and patient stress, especially for the ~90% of chest pain patients who don’t have ultimately cardiac issues. 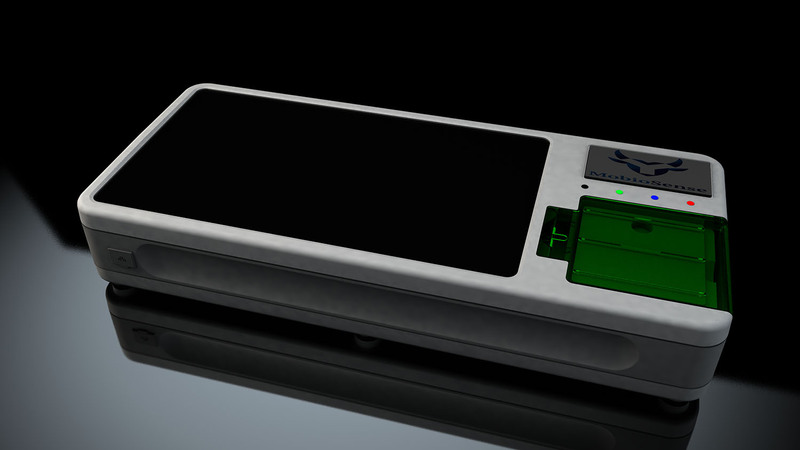 Mobiosense is developing a digital portable blood diagnostic platform based on its patented semiconductor biosensor, which utilizes the principles of Field Effect Transistors (FETs) to enable direct electrical measurements of biomolecules without intermediary biochemical reactions, providing a highly sensitive yet robust label-free method of biomarker detection, a significant technical advancement in the point of care diagnostic market by providing both sensitivity and portability unlike traditional optical, and electrochemical methods. WeHealth by Servier, launched in November 2016 and aiming to improve the daily life of patients and health professionals’ alike using digital, is the e-Health business unit of the Servier Group. WeHealth by Servier proposes innovative digital and connected solutions as well as services by making the most of collected data, to ensure better individual monitoring of the patient and to better prevent and predict the evolution of the disease mainly in cardiovascular, neurology, diabetes and oncology fields. In an open innovative approach, WeHealth by Servier identifies the most promising start-ups in e-health, in France and internationally, to co-develop solutions. In this way, WeHealth by Servier contributes to the creation of an ecosystem of partners to facilitate and accelerate the development, industrialization and distribution of innovations and to make them accessible to the greatest number. Servier is an international pharmaceutical company governed by a non-profit foundation, with its headquarters in France (Suresnes). With a strong international presence in 149 countries and a turnover of 4.152 billion euros in2017, Servier employs 21 700 people worldwide. Entirely independent, the Group reinvests 25% of its turnover (excluding generic drugs) in research and development and uses all its profits for development. Corporate growth is driven by Servier’s constant search for innovation in five areas of excellence: cardiovascular, immune-inflammatory and neuropsychiatric diseases, cancer and diabetes, as well as by its activities in high-quality generic drugs. Servier also offers eHealth solutions beyond drug development. Mobiosense is a startup company based in Taiwan and Boston aiming to revolutionize point-of-care biomarker testing in both clinical and non-clinical settings. MobioSense’ patented semiconductor biosensor technology provides a portable, rapid yet highly sensitive biomarker detection platform currently unavailable to users. MobioSense also recently entered into a development partnership with a US partner in portable food and agricultural testing.